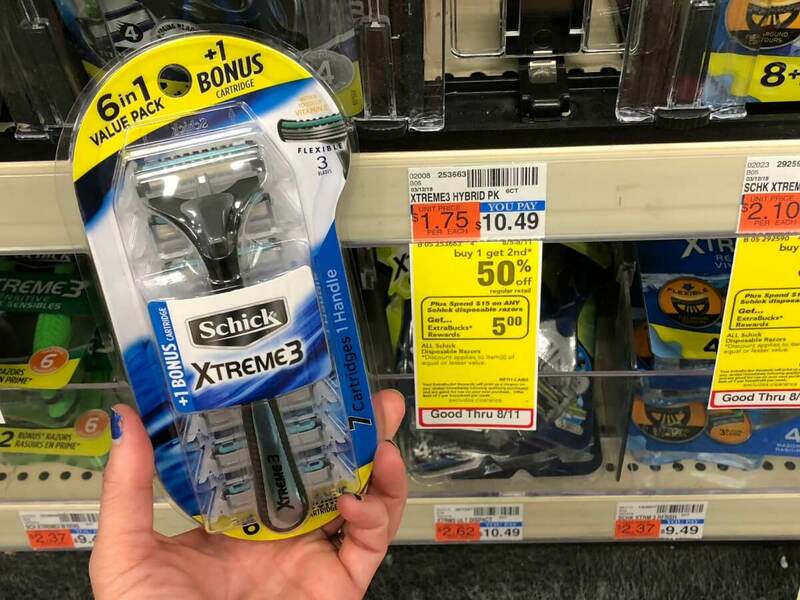 Schick Xtreme 3 Disposable Razors Only $0.19 Each at CVS! Check out the hot deal on Schick disposable razors at CVS this week. 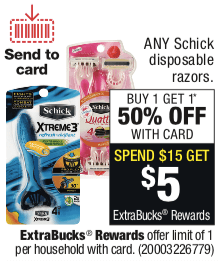 Now through 8/11, any Schick disposable razors are on sale Buy 1, Get 1 50% off. Plus, you will receive $5 Extra Care Bucks when you spend $15 (limit 1). You can score this value pack for only $1.37 after after stacked offers…..that’s just $0.19 per razor! Remember to check your CVS app for special offers and discounts and scan your Extra Care Card at the Coupon Center in store…..you never know what surprises you might find there! 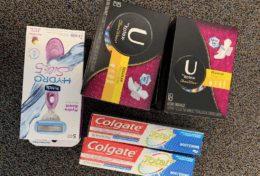 Reader Shopping Trip to CVS – Only Paid Tax with Rolling ECBs! Biore Skincare Products Just $1.32 at Target! Rite Aid Shoppers – $0.82 Kleenex Facial Tissue Singles!